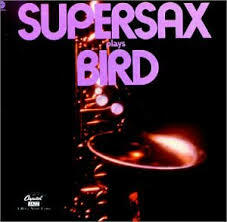 On 11th March Rob is at Ronnie Scott’s playing with the Ronnie Scott’s Supersax Project featuring Alex Garnett, Nigel Hitchcock, Brandon Allen, Sammy Mayne, Graham Blevins and Freddie Gavita! The band is a tribute to the iconic American group of the same name and pays homage to the genius of Charlie Parker and his music. Shows start at 7pm and 10:30pm.